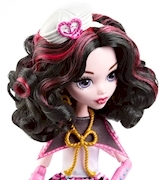 This Monster High™ doll is an absolute treasure! In the new Monster High™ adventure Shriek Wrecked™, the ghouls make waves on the high seas. 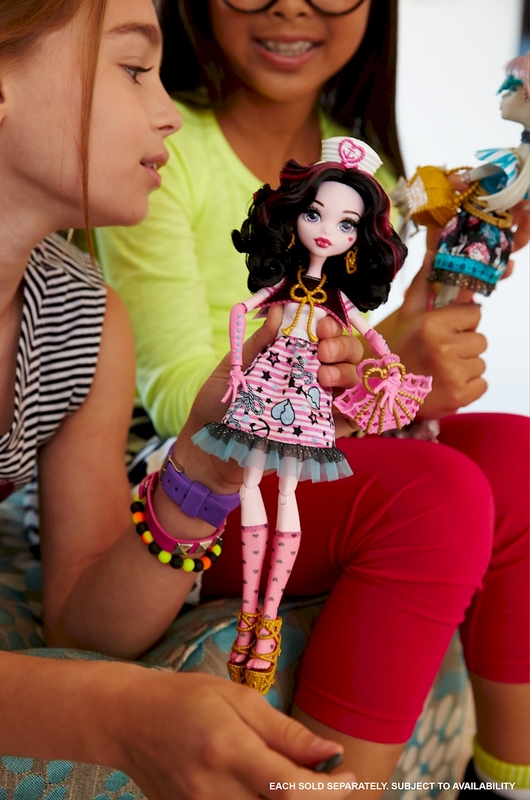 Celebrating nautical themes, the Monster High™ dolls look positively swashbuckling in outfits inspired by their monster legacies and seafaring style. Lagoona Blue™ doll, daughter of a sea monster, is fintastic in a dress with pink and white striped top, ocean-inspired print on the skirt and rope suspenders. A coral-inspired headpiece, sea star earrings and star-adorned shoes with striped socks are fierce accessories, and a wave-inspired purse makes a splash. Create sea-sational action and tell your own pirate tales. Collect all of the Shriek Wrecked™ dolls and accessories for a full crew (each sold separately, subject to availability). Includes Lagoona Blue™ doll wearing fashions and accessories, plus bag. Doll cannot stand alone. Colors and decorations may vary.